Former soldier, Patrick Butler, from Newbridge in Co. Kildare was diagnosed with Motor Neurone Disease (MND) in 2013. He is 55 years old. Patrick served 37 proud years in the Defence Forces. From once being a fit active man, Patrick now needs the help of a wheelchair to get around. 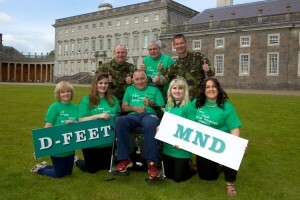 He can no longer walk but is urging people to take steps to D-Feet MND. 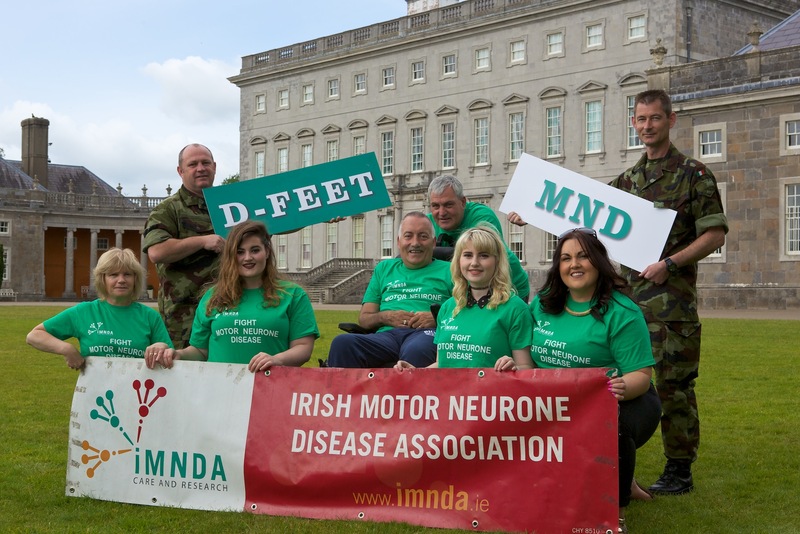 This summer, the IMNDA is hosting a 5K ‘Walk to D-Feet MND’ in Castletown House in Celbridge on Saturday 18th of July at 11am. Patrick is encouraging people across the county to join the fight against this progressive, incurable and terminal disease by taking part in this charity walk. Every step makes a difference. We walk for hope, we walk in support, and we walk so that one day we will see a world free of MND. Walking 5K can help the IMNDA to continue providing care for over 320 families across Ireland. “Since being diagnosed with MND in December 2013, my life and my family’s life have completely changed. Going from being very active, through my work and social life, I have now become fully dependent on my wheelchair and others; family, friends and professional help. Without the support of my family, friends and professionals, I cannot envisage what life would hold for me”, said Patrick. Registration is €20 and can be paid online or on the day, all children under the age of 12 go free. This is a fully accessible route both buggy and wheelchair friendly. All walkers get a green IMNDA t-shirt and a goodie bag. For more information see www.imnda.ie or call 180040 403. If you can’t make it on the 18th of July then why not host your own walk. We can provide you with all the tools necessary like buckets, t-shirts and sponsorship cards. Contact fundraising@imnda.ie for your walk pack now. The IMNDA is dedicated to providing care for people with Motor Neurone Disease, their carers and families as well as supporting research into the causes and treatments of MND. In order to provide these vital services the IMNDA depends heavily on the generosity of the public and friends of the association who generate 86% of its income.